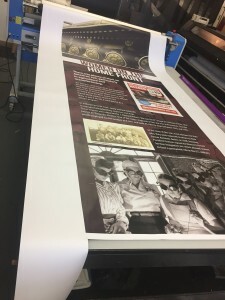 A few weeks ago as we were in the middle of printing, production, and installation for the “Homegrown Heroes: The Lowcountry in World War II” exhibit at the Morris Center for Lowcountry Heritage, a blog post from Uncataloged Museum caught my attention. Titled “A Small Piece of the Big Picture: IMLS and Local Communities” the post from Uncataloged Museum sums up why proposed funding cuts could devastate local, small museums and culture centers throughout the country. Politics aside, what really resonated with me was the idea that our local museums play a large role in educating our communities about their seemingly small but vital stories of our history. 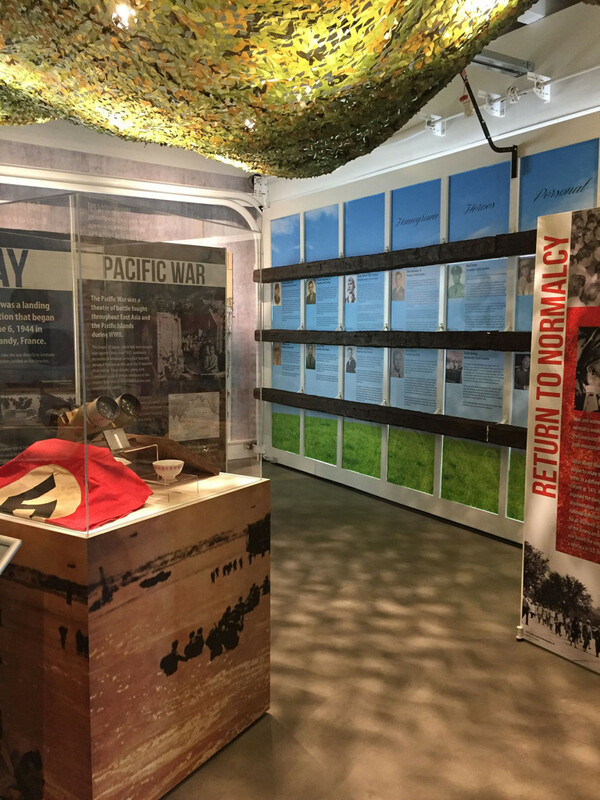 The recently opened Morris Center exhibit in Ridgeland, South Carolina, is a perfect example of a small museum telling a piece of a larger story. 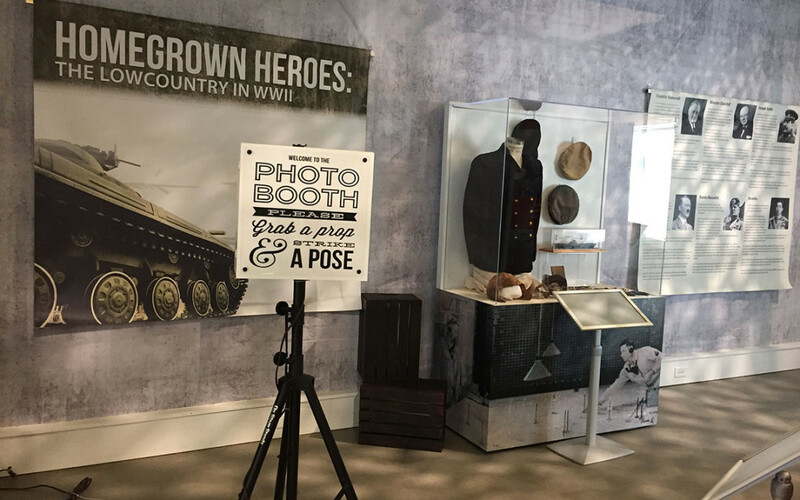 The small museum (a Sinclair Service Station that was converted to a culture center a few years ago) highlights the personal stories of 20 Lowcountry heroes–One of those stories about a 16-year-old high school boy who was chosen to join the Office of Strategic Services because he was a gifted cartographer. 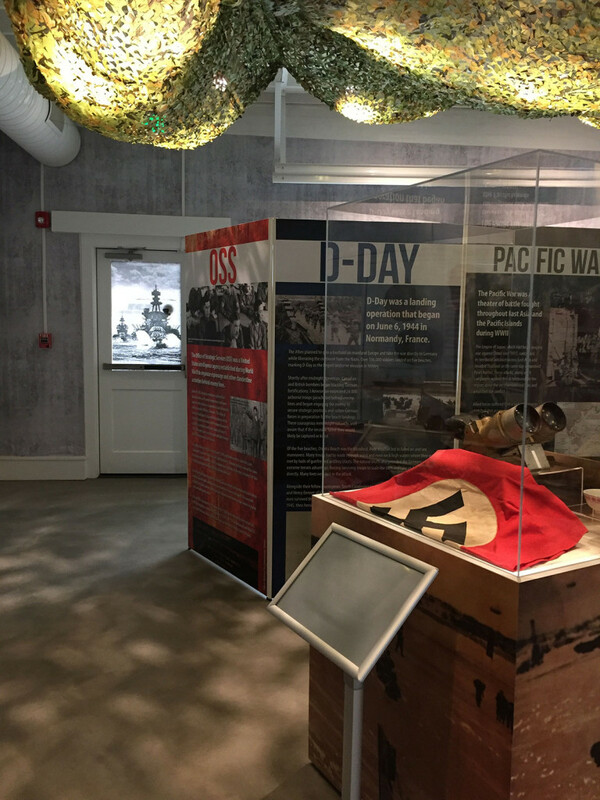 It showcases World War II artifacts from local residents–The Nazi flag on display is authentic. And it details World War II history that is unique to our area–Roughly 9,500 Germans POWs from 21 camps in South Carolina worked on farms, including ones in the Lowcountry during World War II. These are the small pieces, the pieces that may be left out of world history books, the ones vital for preserving our community’s place in history, the ones that can be found in the small museums. 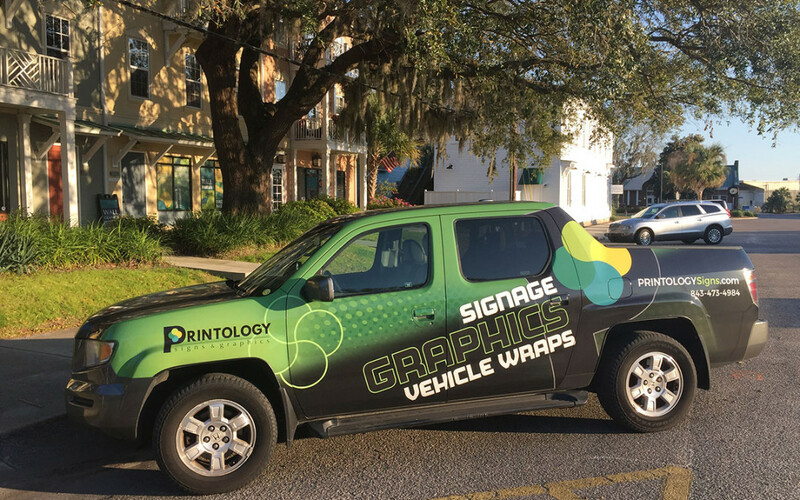 We’ve conducted an informal study on vehicle wraps in our area to find out whether wrapped vehicles really do drive business in Beaufort County. We’ve seen articles in Printing News that quote Outdoor Advertising Association of America’ s claim that “media targeting drivers and passengers reaches more than 95 percent of Americans” from the Outdoor Advertising Association of America. 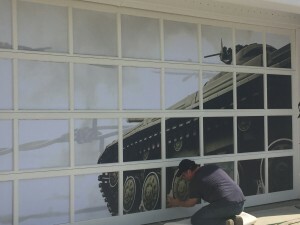 And further states that “one vehicle wrap can generate between 30,000 to 70,000 impressions daily, up to 3,000 in one hour.” But what can Beaufort County (population approximately 183,000) business owners really expect? Ridgeline wrap installation on the driver’s side. When we opened just under two years ago, Mark’s gray Honda Ridgeline was just plain gray. Not even a cut vinyl logo or magnet promoting our new wide format printing business venture on the door, window, or tailgate of the truck. All along, however, he had wanted to wrap the truck. For months he talked about his truck wrap. 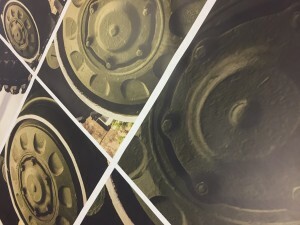 Eventually, he sat down with our designers to fine tune the design—something that would get noticed without being a design wreck, something that he would want to drive everywhere as his primary vehicle. 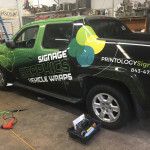 The design came together late last fall and the vehicle wrap install followed soon after. The not-so-scientific study began in February. Using his now wrapped truck as the willing participant, we wanted to find out: 1. Would the truck attract attention? Yes. Most everyone who now saw Mark’s truck commented on the great design or asked about our business. 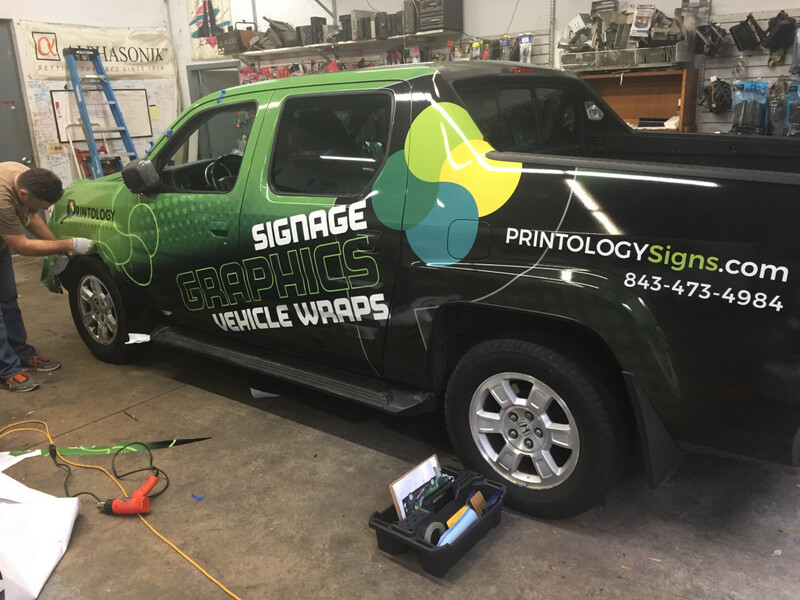 We even had a police officer call after hours one evening to say he had just seen a Printology truck and wanted a quote for his personal car. He also mentioned Mark had a tail light out–the downside of branding with vehicle graphics. 2. Would there be more inquiries about vehicle graphics? Yes. 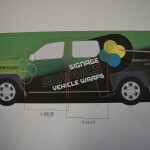 Since February the number of estimates we’ve provided for vehicle graphics has increased by 70 percent. 3. 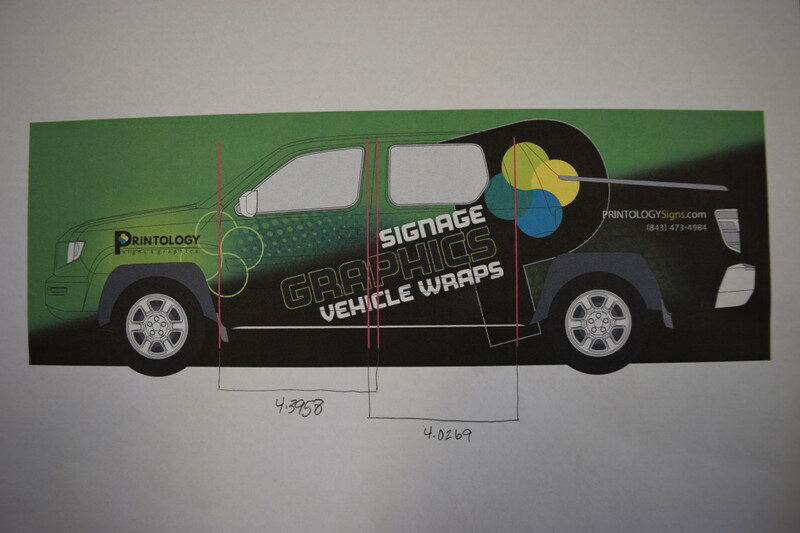 Would this increase our vehicle graphics business? Yes. 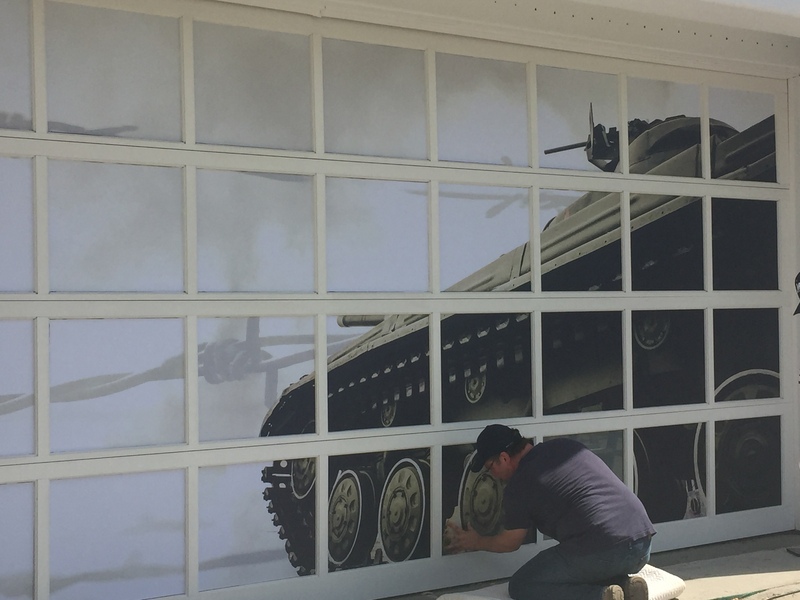 The number of vehicle graphics projects in the pipeline currently is up from about 50 percent a year ago.